When women are thriving in gospel communities, it’s a beautiful sight. How do small groups get started? We’re glad you asked and we’re here to help with a few tips of our own . . .
Seek the Lord for the topic and resource to use. 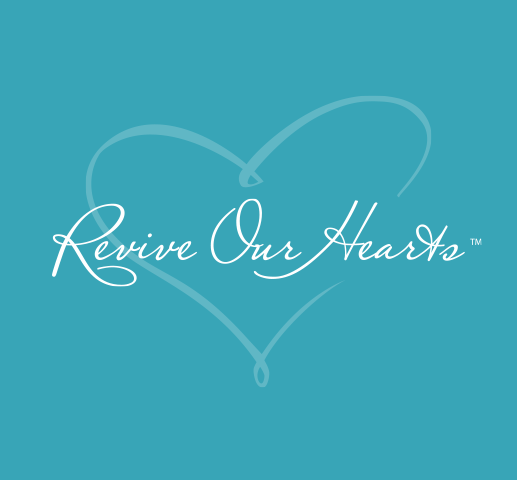 Consider a few of our favorites at Revive Our Hearts. Ask God to direct you to women of all ages to invite to join the journey. (Mixed age groups are more fun and offer the potential for organic mentoring!) Publicize through social media, email or your local church. Try to reserve space for registered women to invite friends. Who doesn’t love having a Bible study buddy? Prepare your heart to lead others by drawing near to Jesus and asking Him for a fresh revival. Begin lifting up the women who you’ll be leading. Pray for their hearts to be teachable, hungry for truth and that Bible study would be a priority. Pray for God to raise up a like-minded co-leader to share the load. Will your group be ongoing or limited to a specific time period? Will it meet during the day or in the evening? If not meeting in your home or public space, coordinate with the church leaders for a meeting space and convenient time. How many sessions does the selected study recommend? Add an Introductory meeting to get acquainted and pass out study materials. This first gathering should get women excited about studying God’s Word and the power of the gospel to transform. Will you offer childcare? Will there be a cost to the participants? Prepare a syllabus to keep everyone on track, and a small group covenant. When the final session is complete, celebrate all God has done by arranging for one extra gathering to feast on food and testimonies. Small groups are God’s family—treat the members as such. Be a conduit of love and compassion as you intentionally connect women together, and keep the group informed of what’s happening in each other’s lives. Urge members to link up outside the group. You may want to implement prayer partners to develop closer friendships. As your time allows, make an effort to reach out individually to each woman between meetings in ways that work best . . . whether through a phone call, coffee date, text or handwritten note. At each meeting, invest a brief time to get more acquainted so members will soon feel comfortable diving deep below the surface together. This can be accomplished through an icebreaker or by inviting one woman to give a wider view into her life at each session. One of my favorites is to instruct a member to select one object to represent a significant part of her life and share why it’s meaningful. Take the time to laugh and have fun through an occasional get together with no agenda other than to bond as women who share the love of Christ. Throughout the study, challenge women to start their own group teaching the same study to a new group. Cast a vision for more women thriving as they study and apply the truths of biblical womanhood and Titus 2. Keep going! Continue the journey by selecting another study for your group to jump into. Pray daily as much as you’re able for each member in your sacred circle. Pray for God to grow you as a leader as you thank Him for the being entrusted with the joy and privilege of serving Him and His beloved daughters. What tips can you share with us? We love hearing from you! Reach out to Leslie Bennett at LBennett@ReviveOurHearts.com.